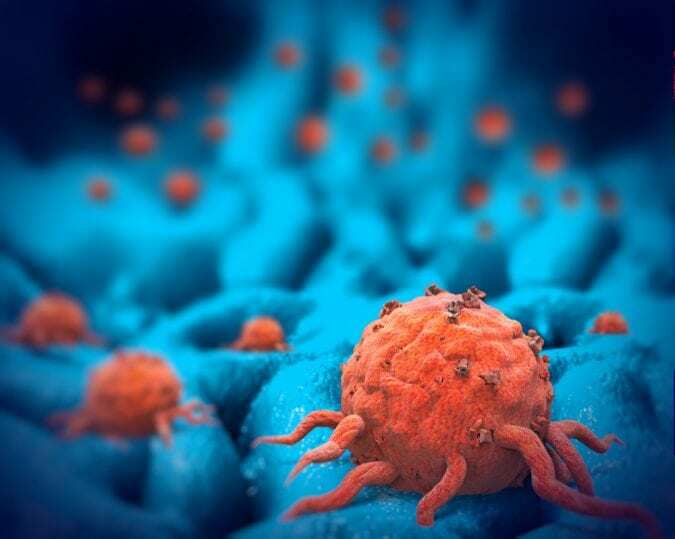 Once the cancer has metastasized and spread throughout the body, the end is near—and very, very painful. 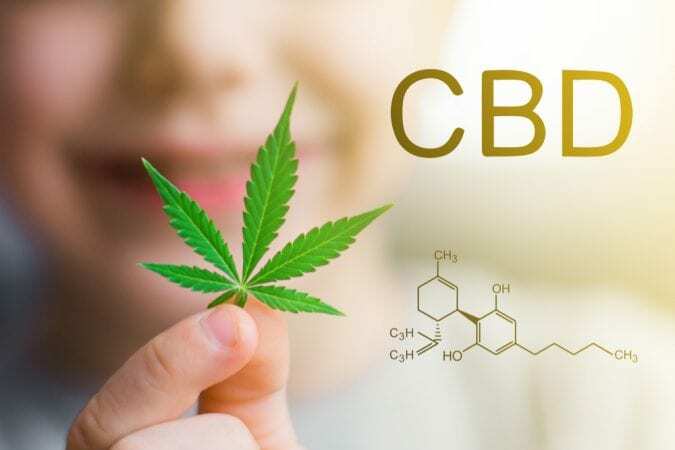 However, a new therapy that utilizes cannabidiol (CBD) has shown promising results in turning back the clock on invasiveness of late-stage breast cancer. In a study funded in part by National Institutes of Health, molecular biologists at the California Pacific Medical Center performed tests on human breast cancer cells that reveal how CBD could slow down and even halt the progression of the disease, even at its more virulent late-stage existence. For breast cancer sufferers, this is huge news. Despite the overwhelming public support of breast cancer patients and sky-high donations to specifically focused charities like the Susan G. Komen Foundation, breast cancer remains an insidious killer. The American Cancer Society that the average American woman has a 12 percent chance of developing breast cancer in her lifetime—more than any other cancer besides skin cancer. According to BreastCancer.org, about 266,000 new cases of breast cancer will be diagnosed in women and 2,500 cases for men in the United States this year alone. In the same time frame, the disease will kill nearly 41,000 American women. One reason it’s so deadly is that breast cancer is often incurable once it metastasizes and moves beyond the breast tissue into other parts of the body. That’s because the final stage of the cancer’s life is least medically understood, and therefore nearly untreatable. The new CBD findings, however, are giving scientists a new avenue of inquiry. 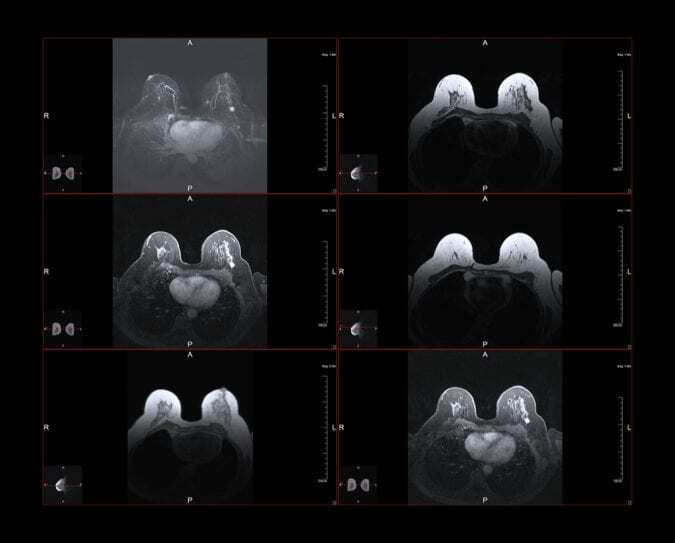 Years ago, medical researchers discovered that a specific protein called Id-1 was responsible for much of the progressive and invasive behavior of breast cancer in its later stages. 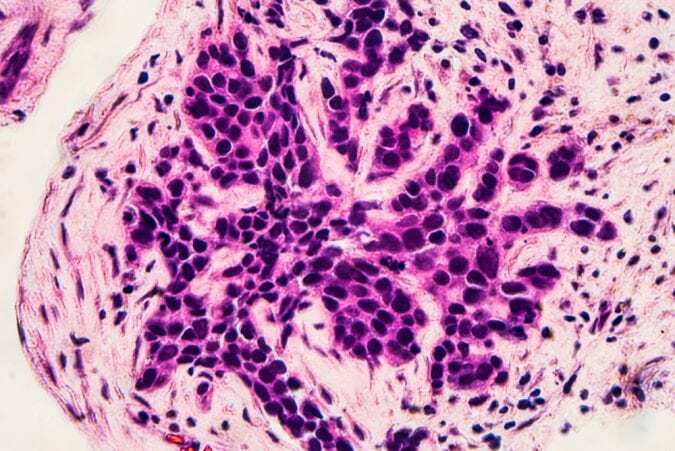 Using experiments on mice, researchers discovered that by downregulating this protein, the cancer become far less aggressive. In other words, blocking Id-1 from functioning could prevent breast cancer from metastasizing. But there was a problem—a big one. In the mouse study, scientists used a special kind of gene therapy called antisense to de-activate the Id-1 protein, but the same kind of therapy is not possible for humans. So researchers needed a different kind of agent that would produce the same results, but could be used on people. Further complicating matters, any new agent would not only have to be able to inhibit the Id-1 protein, it would have to be non-toxic and with low side effects so that it could be used on cancer patients whose immune systems are already weakened. CBD, one of the active ingredients in cannabis, is a low-toxicity, non-psychotropic molecule that affects the human endocannabinoid system. It doesn’t get patients high. Instead, it interacts with the endocannabinoid system in a number of ways, many of which are still being discovered. 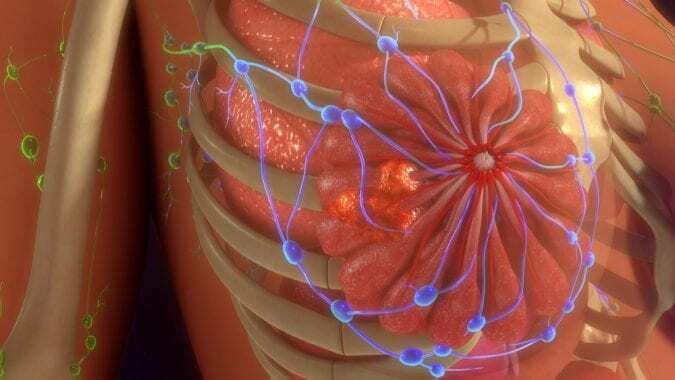 The California scientists knew from prior research that CBD inhibited breast cancer metastasis in mice, but the exact mechanism by which is happens is largely unknown. 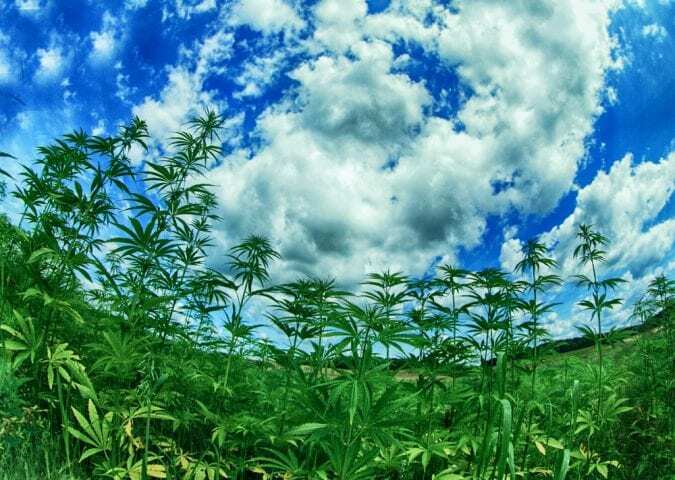 The scientists hypothesized that CBD may work like the antisense treatment and produce results by altering the expression of the Id-1 protein in the cancer cells—and they were right! In a massive breakthrough, the researchers showed that CBD is the first outside agent that is capable of regulating Id-1 in human breast cancer cells. This paves the way for new and exciting therapies for even the sickest cancer patients. If breast cancer can be prevented from metastasizing or halted early in its tracks, the number of lives saved could be massive. That’s not just good news for women or those with a family history of breast diagnoses—it’s good news for everyone. Almost 85 percent of breast cancer diagnoses occur in women without a family history of the disease. And while American women have a 1 in 8 chance of developing breast cancer at some point during their lives, men are also at risk. Current data suggest that about 1 out of 1,000 men living in the U.S. will develop breast cancer. And the benefits of a CBD-based cancer therapy are most likely not limited to breast cancer. The scientists who discovered the effects of CBD on Id-1 are optimistic that new and better drugs for patients with all kinds of cancer can be created based off of this initial finding. Imagine—if modern medicine can prevent cancer from turning into its final and most lethal form, we could grant many more years of life to millions of people across the world. All of it thanks to one little plant.